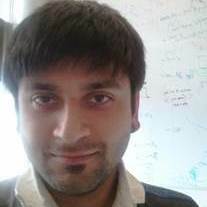 Ratul Mahajan is a Principal Researcher at Microsoft Research and an Affiliate Professor at the University of Washington. His research interests include all aspects of networked systems. His current work focuses on network verification and optical networks. His past work spans connected homes, software-defined networking, Internet routing and measurements, and vehicular networks. He has published over 50 papers in top-tier venues such as SIGCOMM, SOSP, MobiCom, and CHI and many technologies that he has developed power Microsoft’s cloud infrastructure. He has been recognized as ACM Distinguished Scientist and ACM SIGCOMM Rising Star and has won the ACM SIGCOMM Test of Time Award, the William R. Bennett prize, two SIGCOMM best paper awards, and Microsoft Research Graduate Fellowship. 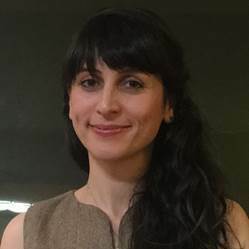 Monia Ghobadi is a postdoc at Microsoft Research. Her research interests are broadly in systems and networking, with recent focus on optical networking and congestion control. She received her PhD from University of Toronto and worked at Google’s data center team before joining Microsoft Research. To keep pace with the tremendous bandwidth growth in cloud networking, large scale proviers, such as Microsoft, employ optical technologies ubiquitously. In fact, Microsoft’s long haul network carries hundreds of Tbps of data using optical links, and in its data center networks, all switch-to-switch links are optical. Despite their almost-ubiquitous presence, little is known today about even basic characteristics (e.g., signal power, attenuation) opical links in such networks. We conduct one of the first large-scale study of the optical layer of long haul and data center networks. Our analysis uncovers several findings that can help improve network planning, increase capacity, and reduce transceiver cost. In long haul networks, we find that substantial gain can be achieved using bandwidth variable transponders and changes in Q-factor can predict future optical-layer outages. In data center networks, we find that the optical layer is significantly over-engineered in terms of optical power budget and monitoring optical layer metrics can lead to faster mitigation of packet corruption.